Barnas Bergen – 4 gode kort på hånden! Det beste innen spennende, lærerike og lekende opplevelser i en og samme by. Les mer om gøyale og lærerike aktiviteter fra familiefavorittene Akvariet, Fløibanen, Vannkanten og VilVite på BarnasBergen.no Bergen er så mye mer enn Bryggen, Fisketorget, Brann og buekorps. Barnas Bergen er i seg selv en god nok grunn til et Bergensbesøk – for voksne og barn i alle aldre. En tur til Bergen med Barnas Bergen programmet som utgangspunkt gir deg gode kort på hånden med et spennende og minnerikt program som er gøy og lærerikt både for voksne og barn. Her inviterer vi til flotte opplevelser der hele familien har det gøy sammen, leker og lærer, er litt ute og litt inne, i byen, på fjellet og ved sjøen. Slik blir Bergen som en gedigen opplevelsespark der varierte aktiviteter og opplevelser finnes i nærheten av hverandre. Children's Bergen – four great things to do! The most exciting, educational and fun activities in one and the same city. Bergen is much more than just Bryggen, the Fish Market, the football club Brann and the local boys' marching corps. Children's Bergen is reason enough in itself to come to Bergen – for both adults and children of all ages. Spring is a great time for doing things together. 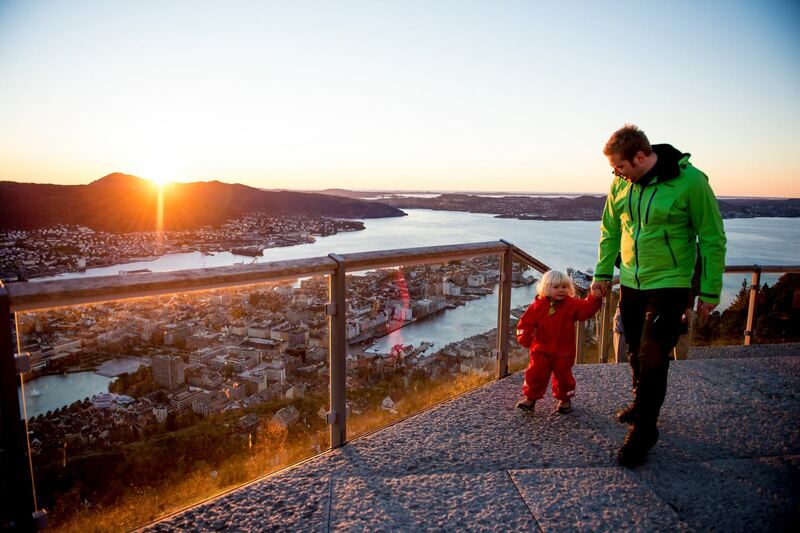 On a spring break in Bergen, you can enjoy the exciting and fun-packed Children's Bergen programme, which has activities that are both educational and enjoyable for children and adults alike. Come and try out activities the whole family can enjoy together, play and learn, both outdoors and indoors, in town, up in the mountains and by the sea. During Children's Bergen, the city is like a huge adventure play park where there are lots of activities and experiences within easy reach of each other. Allow plenty of time to take everything in - one day is definitely not enough. If you use the 24, 48 or 72-hour Bergen Card, you will get free or discounted admission to many attractions and can travel free on buses and Bergen Light Rail. The Bergen Card can be bought online here at visitBergen.com. Why not start the day with a short stroll or bus ride from the Fish Market to Nordnes, one of the oldest areas of Bergen. There, out on the Nordnes promontory, you will find Bergen Aquarium. Its many local celebrities include Selma the seal, Pingrid Alexandra the penguin and Gunnar the marmoset. In more than 60 large and small tanks, you can see all kinds of weird and wonderful creatures that live in the sea along the Norwegian coast. You then walk through a subterranean tunnel surrounded by water and fish on all sides. Suddenly you will be staring straight into the jaws of a big, scary shark - fortunately on the other side of the glass, though. Once your pulse is back to normal, you enter the new tropical section, where crocodiles, snakes, reptiles, tortoises and marmosets from all over the world await you – hungry, inquisitive and very pleased to see you. So, keep your distance and be sure to watch out for the furry, creepy tarantulas – they're smarter than you think. Every hour on the hour, the penguins are fed in the outdoor pool, where you can also see how the sea lions are trained. At weekends, there is a big sea lion show, and if you've still not had enough, you can visit the cinema and watch 3D films about life beneath the waves. Why not end your visit in the Aquarium's gift shop, a treasure trove filled with animal-themed toys, from both Arctic and tropical climes, before having the fish soup or a fish burger for lunch in Kafe Nøstet. 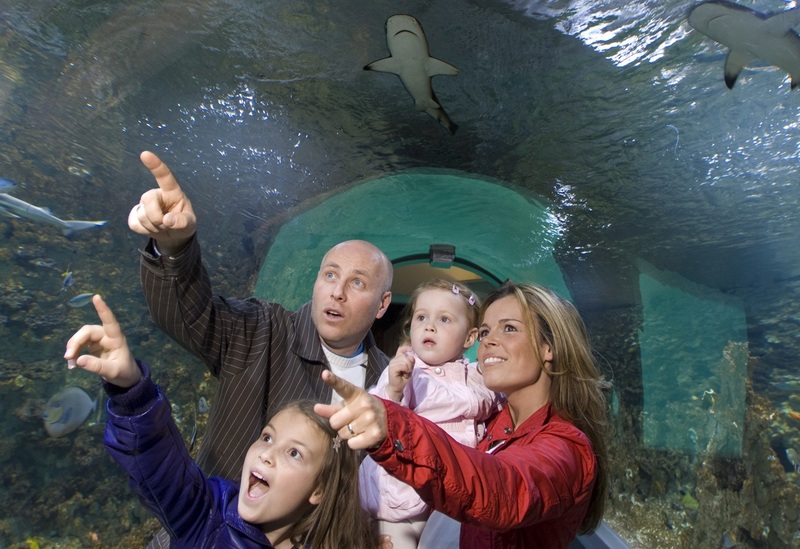 Tickets for the Bergen Aquarium can be bough online here at visitBergen.com. Back in the town centre, just 150 metres from the Fish Market, you will find the Fløibanen funicular. If you lift your gaze, you can look straight up at the viewing platform up on Mount Fløyen. Up there, at 320 metres above sea level, there are fantastic views of the whole of Bergen and far beyond the city limits. But first there is the trip up on either Blåmann or Rødhette, the two Fløibanen cars that faithfully run up and down the mountainside, every day all year round. The ride up is an experience in itself. You are safe and comfortable, but you'll probably get butterflies in your stomach as you see the city receding below you and you approach the top after about an 8-minute ride on Norway's only funicular. The views from up on the big plateau at the summit of Mount Fløyen are legendary. Here, you see Bergen in a completely new light, and might be seized by the urge to fly over the city, swooping down into its narrow streets and alleys before landing again up on Mount Fløyen, ready for new adventures. With its many paths, roads and walking trails, Mount Fløyen is a great area for walks. Several places in the area have facilities for barbecuing and picnicking, and Fløyen also has the city's best playground. If you just want to go for a walk in the mountains and soak up the spring atmosphere, then you are guaranteed good nature experiences in lovely scenery, among huge 100-year-old spruce trees, on mossy paths and with breathtaking views at every turn. For most people, springtime is a early for a seaside holiday, at least in Bergen! But we have a solution to that problem as well. Vannkanten Waterworld offers refreshing aquatic fun with great pools, waterslides, a superbowl, climbing wall, diving boards, a relaxation section and Jacuzzis. You can also try out the outdoor pool and extend the bathing season a bit longer. Or just imagine the feeling of peace and well-being that will engulf you as you submerge yourself into a hot Jacuzzi at Vannkanten. Every Saturday and Sunday between 12.00 and 16.00, Vannkanten's mascot Duffe comes visiting with surprises for the children. Vannkanten Waterworld is the hub of all activities at Vestkanten shopping centre, which is a 10-minute drive from Bergen city centre, in the Loddefjord area. Vestkanten shopping centre is the biggest in Bergen and Norway in terms of combining shopping with activities. With 90 shops, an ice rink, curling, tenpin bowling and a big waterworld, it has just about everything you might need. The centre also has a number of cafés and restaurants, making it a veritable eldorado – with swimming, shopping and dining all in one place. We now head for VilVite, Bergen's Science Centre, which is located next door to Nygårdsparken park and the High Technology Centre in Bergen. Take Bergen Light Rail to the Florida stop, which is almost at the entrance to VilVite, or take the 15-minute walk through the town from the Fish Market. There is plenty of exciting technology you can explore at the science centre, and lots of opportunities to play and learn. The large main exhibition features about 100 different installations with lots to do and explore. 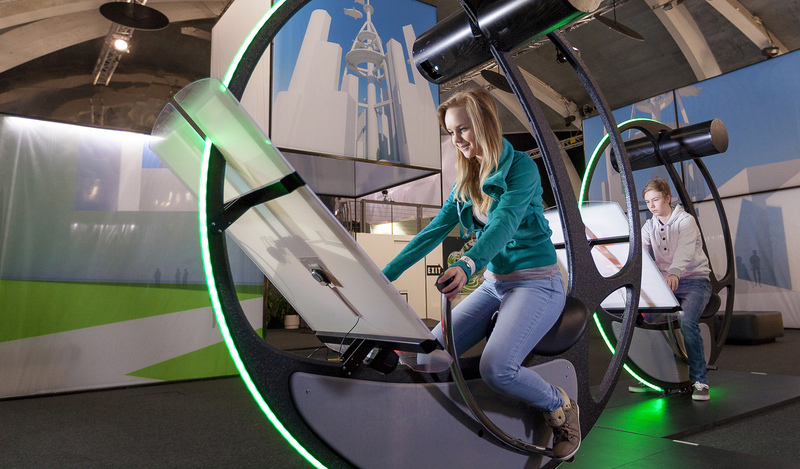 For example, you can present the weather forecast in a TV weather studio, steer a mini-submarine and cycle 360 degrees around the G-Force. Now comes the big family challenge. In the new Exhibition 20X0 - a journey to the future, there is 17 different future installations where you can make choices that affect how you live, what you eat, how you travel and what you consume. The theme for the new exhibition 20X0 is lifestyle and sustainability in the future. So, once your vacation is over and you realise you didn't get through the whole programme, you can start planning early for next time. And remember, Bergen is always worth a second visit. Most people come back! If you need accommodation in Bergen, there is a large selection of accommodation in all categories to choose from.